Whether to beautify and enhance your property investment, or to remove danger created by hollow or fallen trees, it may be time for your tree (or multiple trees) to be removed. We work with a local, reputable and licensed firm to whose experienced tree crews will evaluate your project and remove your tree(s) with proper equipment and professionalism, leaving the area clear of debris when the job is done. Hernandez Brothers Profdessional Landscape and their skilled tree work crew provide tree removal, stump grinding and removal, cabling and bracing of weak trees and free estimates for residential and commercial applications, from small yards to large lots. 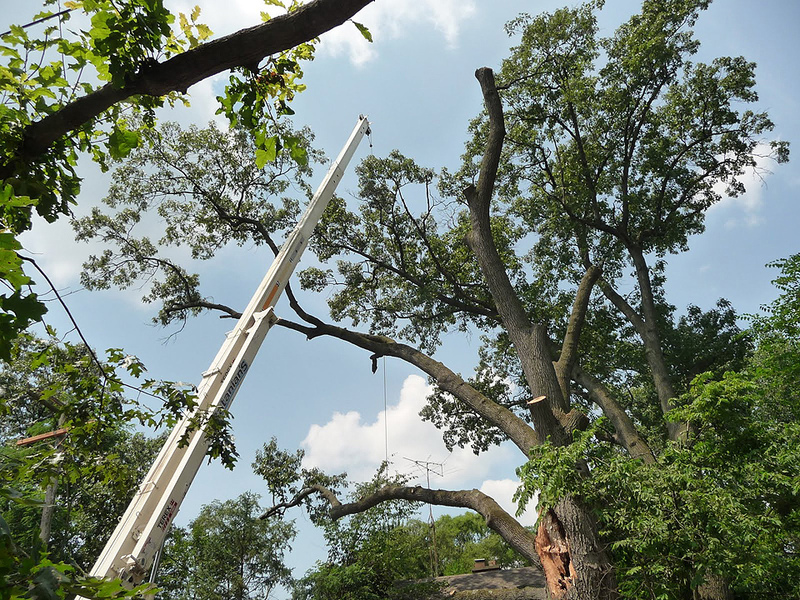 You'll see that we use commercial grade equipment to remove and care for your trees, which means we can access and treat or remove very tall trees, cut and haul away large tree sections and debris and do a professional and thorough tree removal job for you. We also do a thorough clean-up job before leaving the premises.